Monday, November 19, 2018: It’s ideal out there. It begs either surfcasting or boat fishing. ... Hunters bury your innards! Monday, November 19, 2018: It’s ideal out there. It begs either surfcasting or boat fishing. As far as surfcasting, that continues to beg for fish, though a couple more stripers have hit the Classic scales. That said, the bite is scarce and despite today’s just-fine beach conditions the number of surfside anglers is way down, though I’m guessing some folks are getting in a couple work days before Thanksgiving break kicks in late Wednesday. I am not looking forward to the bitter air temps arriving on Turkey Day 2018. If we top freezing that’ll be an accomplishment. I always set Thanksgiving Day aside to hit the woods in one way or another, usually metal detecting. While it is a bit warmer among protective trees, my body is absolutely not yet acclimated to solid subfreezing temps – all day and all of the night (Kinks, 1964). I’m told there are schoolie bass both bayside, near inlets and, to a lesser degree, along the front beach. Per usual, late-day is the time to hit them along the beach. Inlet areas have a wider window of opportunity. Time to break out the teasers and Avas, still the best way to get in a long cast right as fish first come over the bars toward the beach. I usually have small-fish luck at the back cut in Holgate. I’ve been way too busy to make a run down there. The far south tip (Rip) is only buggy-accessible at low tide. At high tide, the ¾ mark is blocked by erosion and exposed bush stumps and logs. The drive down is otherwise easy. Do not go Baja-ing to get past that erosion area at high tide. Mainly, it’s horrible on one’s vehicle. Getting questions about the two fall eagles – mainly asking if they’ve also been seen in Holgate and not just atop or near the Spray Beach antennae. My most recent trips down south (as in south end) produced no eagle sighting. In fact, I’ve seen so little birdlife that it has become worrisome. There's Just the lone falcon who prowls the entire Holgate refuge area, most commonly lighting atop refuge boundary signs. He’s very small. Update: That might actually be a merlin. Deer hunters … bury your innards. Say what!? I’m passing on a state-level request that the innards/offal of deer felled by shotguns be kept from scavengers, including the state’s struggling eagles. Yes, eagles wear both raptor and scavenger hats. Quite a sight to see. As majestic as eagles are portrayed, they’ll get as down and dirty as turkey buzzards when there’s a juicy pile of rotting deer guts to be had. I once saw an NJ eagle land next to a roadkill deer (off Rte 539) being ripped apart by a sortie of buzzards. Boy, did those buzzards fly the coop when the eagle had landed. No contest. Anyway, the number of shotgun-downed deer will soon number in the tens of thousands. Within the innards of the felled deer will be small lead shot/pellets numbering many tens of thousands. Per custom, the entrails are often left a-woods, to be fed upon by said eagles, along with sundry scavengers. “Today the eagle population still faces challenges and one of those is lead poisoning. … Unintentional poisoning of eagles can occur when they scavenge gut piles from deer or other game species shot with lead ammunition. I’ll add my plug nickel’s worth by suggesting that the lead shot from duck hunters, which has long been accumulating on the bottom of lakes, streams and creeks, pose an equal threat of lead ingestion for water fowl, especially bottom-feeding ducks and geese. I must quietly debunk a suggestion I hear tell from many a hunters who feel NJ should return to hunting with cartridges (bullets) to lessen lead-poisoning dangers within deer carcasses. I’m thinking that would instantly present the surrounding human community with a lead danger, as in hot lead. It’s remarkable how far a high-power bullet can travel. Elk country communities have seen cases of distantly-fired bullets penetrating houses so far away that the projectile impacts long before the sound of it being fired. The locations of some local deer stands I’ve seen press the proximity laws regarding how close to humanity stands can be placed. While an effort has been made to convince hunters to switch to non-lead alternatives for ammunition, that has gone over like lead balloon. Same with non-lead sinkers for anglers. I once tried to do my civic lead duty by using cast nets with ceramics weights. That lasted less than one bait season. I rushed back to good old fast-sinking Pb. However, I always carefully dispose of old net lead, which is worth a decent few bucks when gathered and eventually recycled over at Sonny’s in Waretown. I do have one at least semi-sensible pondering when it comes to scavengers and lead poisoning. Turkey buzzards are absolute chow hounds when it comes to animal innards of any sort. 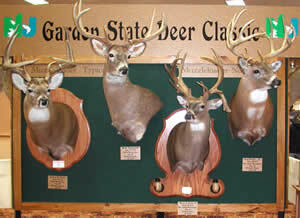 Deer hunting season rocks for them. However, they’re one of my rarest DOA finds in the woods. You’d think they’d be dead ducks with the amount of lead shot they accidently scarf up. As with many a natural miracle, they might simply have a gifted intestinal constitution and fortitude common to only top-shelf scroungers. “Tests by the CDC show that eating venison and other game can raise the amounts of lead in human bodies by 50 percent,” wrote Streater. It also sparked a flurry of new research that raises questions about the safety of eating wild game, as well as a renewed debate about eliminating lead ammunition. The hunting industry has fired back, debunking shots being taken at lead-based ammunition, arguing that there’s no clear evidence that lead ammunition poses a threat to one’s health. Many aren’t buying industry claims. “We want to avoid having people exposed to lead to the extent that it’s feasible and practical, and it’s clear that one of the key ways to minimize exposure is to use alternatives to lead ammunition,” said Dr. Michael Kosnett, a medical toxicologist at the University of Colorado at Denver School of Medicine. “You’re putting food on the table to nourish your family. Why not nourish them with healthy food if that’s a possible alternative? Below: X-ray of a dove with four pellets and several small fragments of ammunition. "In big game hunting, and contrary to what is believed, the lead bullets also fragment," explains Mateo, who, with his team, has confirmed the presence of high concentrations of lead in samples of deer and wild boar ..."
We’ve got a “fish of the year” contender! A fish I wouldn’t expect right now. During the fight it appeared to be maybe a slightly side hooked big Striper but it displayed head shake quite a bit. Then we saw it............holy crap a Bull Red! 48er”. Wow! Same area produced a 32” Striper......oh my! Fish was caught on a @hardheadcustombaits 1 ounce skirted jighead and a silk chartreuse 6” BKD! Amazing! The long awaited arrival of the mass of striped bass has finally arrived off Beach Haven. The captains of the Beach Haven Charter Fishing Association have been scoring near the north end of Long Beach Island, and recent days have brought some good catches closer to home including fish up to 48-pounds. With the fish still ranging pretty far to the north, the action should be good for some time yet. Captain Ray Lopez had a group of six anglers including Gary Reitmann, Zack Reitmann, Doug Edan, John Senker, John Senker Jr. and Mark Senker out for a day of striper fishing on the “Miss Liane.” The boat headed north of Barnegat Inlet and began trolling. No sooner were the lines in the water that they had a fish on. According to mate Max Goldman the group had fish on throughout the trip. When it came time to stop for the day, there were six large bass in the fish box weighing up to 35-pounds. The proudest angler was probably 13 year old Zach Reitmann who caught his very first striper. Zach is one of the members of the Junior Mate Program from the Beach Haven Charter Fishing Association. Assisting Captain Ray on the trip was mate Max Goldman. TRENTON, NJ – With the onset of colder temperatures, the New Jersey Division of Fire Safety encourages residents to keep their heating systems in good working order and to avoid unsafe heating practices such as using a kitchen stove to keep warm. For example, just after Christmas last year, the worst fire in New York City in more than 25 years took the lives of 12 people, including three children. The ensuing fire investigation found the cause had been a child playing with the kitchen stove, which may have been used as a heating source. Make certain your heater has an Oxygen Depletion Sensor (ODS). ODS sensors are found in portable heaters made after 1984 and will turn off the heater if it senses high levels of carbon monoxide (CO). Look for an independent lab label such as UL which sets minimum safety standards for manufacture. If the heater is electric, make certain the cord is #14 gauge or larger. Do not run the cord under a rug. Make sure the unit has a protective grill in front of the heating element, which is the part that glows. Turn the heater off when you leave the room. Enforce the “3 Foot Rule” with young children. Keep them at least three feet away. Keep flammable materials such as bedding, curtains, and clothing three feet away. Plug the heater directly into wall outlets, and never use with a household extension cord. Make sure the device has a “tip over” switch that turns the heater off if it is knocked over. Carbon monoxide (CO) is a toxic gas that can kill even before you are aware it is in your home or apartment. At low levels it can mimic flu symptoms, including nausea, fatigue, headaches, and dizziness. CO sources include gas-fired appliances, wood-burning stoves, fireplaces, generators, and motor vehicles. Though CO can be a danger at any time of year, it is most hazardous when windows and doors are closed. The most effective fire safety tools continue to be a working smoke and CO alarm on every level of the home, coupled with a family escape plan. Consumers should also know that by law in New Jersey kerosene heaters are banned in all commercial establishments and multiple unit dwellings. Further, there may be local ordinances that prohibit their use in single-family homes. It is best to check with your municipal fire official before purchasing one. The Division of Fire Safety serves as the central fire service agency in the State. The Division is responsible for the development and enforcement of the State Uniform Fire Code, as well as for implementing community risk reduction and firefighter training programs. Captured by the GOES-16 satellite on Aug. 25, 2017, this image shows Hurricane Harvey as it reached its peak intensity — Category 4 — with maximum sustained winds of 130 mph. Some of the biggest storms in recent years were fueled by climate change, which increased the amount of their drenching rainfall. Future storms could be even windier, wetter — and potentially more destructive — according to a new study. Researchers evaluated 15 tropical cyclones (which are called hurricanes when they form in the Atlantic) from the past decade and then simulated how the storms would have performed during preindustrial times, prior to the advent of recent climate change. They also peered into possible future scenarios, modeling what the storms might look like if they took shape during the late 21st century, should Earth's climate continue to warm. The scientists' findings, published online today (Nov. 14) in the journal Nature, paint a sobering picture of a future marked by supercharged hurricane seasons. In simulations that required millions of hours of computing time, the researchers investigated the role that a warming climate could play in hurricane winds and rainfall, looking at factors such as greenhouse gas concentrations, humidity and temperature variations in the air and in ocean water. They found that hurricane rainfall increased under climate-change scenarios, with Hurricanes Katrina, Irma and Maria producing about 5 to 10 percent more rain than they might have generated under preindustrial conditions. Wind speeds for storms in the recent past, on the other hand, would probably have been more or less the same at the time of preindustrial Earth, according to the study. However, future storms will likely become windier, with peak wind speeds rising by as much as 33 mph (53 km/h). Rainfall is also predicted to increase in hurricanes by about 25 to 30 percent, if present-day emissions continue unchecked, the scientists reported. Warming oceans are already recognized as a fuel source for more intense hurricane seasons. And rapidly accumulating evidence shows how climate change is directly affecting individual storms. In September, climate change was identified as a contributor to Hurricane Florence, with scientists estimating that the storm produced 50 percent more rain than it would have in a preindustrial world. "We're already starting to see anthropogenic factors influencing tropical cyclone rainfall," lead study author Christina Patricola, a research scientist with the Climate and Ecosystem Sciences Division at Lawrence Berkeley National Laboratory, said in a statement. "And our simulations strongly indicate that as time goes on we can expect to see even greater increases in rainfall," Patricola added. More rainfall during seasonal hurricanes brings a greater risk of flooding to regions near coastlines. But the hazards of coastal living can also be intensified by another factor — human transformation of rural and suburban areas into more urban environments, according to another study, also published today in the journal Nature. Researchers modeled simulations of Harvey's rainfall and flooding, measuring how Houston might have been affected if the city's urban development had stalled in the 1950s. They found that urbanization in Houston made the disastrous impacts of 2017's Hurricane Harvey even more damaging. By comparing the simulations to Harvey's real impact in 2017, the scientists discovered that urbanization significantly increased how much rain fell during the storm and also increased the risk of flooding. New buildings in the city changed the airflow over Houston, leading to heavier precipitation; at the same time, more asphalt and concrete cover likely raised the risk of flooding. Overall, the researchers found that urbanization in Houston increased the probability of extreme flooding from Harvey "by about 21 times." Climate modelers and urban planners alike therefore need to address and confront the threats faced by growing cities that are vulnerable to extreme precipitation, the study authors concluded. Copyright © 2006-2018 Gatehouse Media, LLC. There is something happening out there. The lobsters have almost disappeared from southern New England waters. And now we have confirmation that warmer waters have caused a decline in the numbers of all kinds of shellfish up and down the East Coast. Clyde MacKenzie, a NOAA researcher, and Mitchell Tarnowski, a biologist for the Maryland Department of Natural Resources, studied the decline of four commercially important shellfish from North Carolina to Maine: eastern oysters, northern quahogs, softshell clams and northern bay scallops. What they found is that a warming ocean environment is changing the climate and causing shellfish to disappear, as opposed to excessive harvesting by fishermen being the culprit. It seems the warmer water allows shellfish predators to flourish for longer seasons. The changes mean that a declining domestic shellfish harvest could raise prices and make the U.S. more dependent on foreign sources of shellfish. 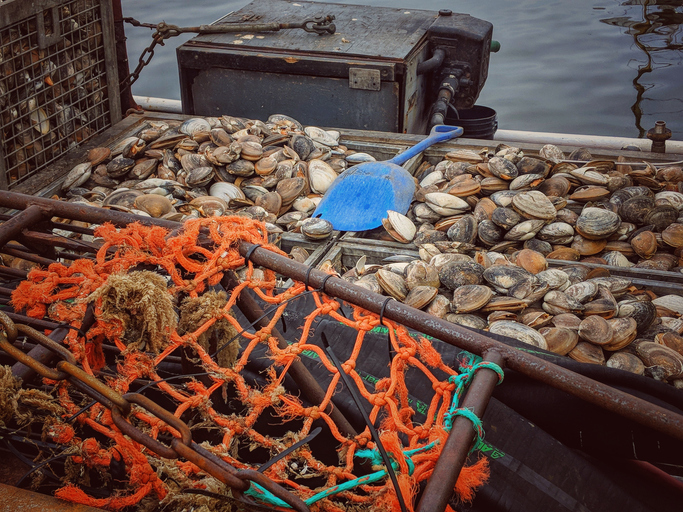 Some have suggested adapting to the changing conditions by switching to shellfish farming and that may be a possibility but it’s certainly not a short term solution that would protect the fishing industry. In any event, this kind of significant change to the natural environment of the North Atlantic ocean should greatly concern us all. We think of climate change as a global issue, maybe even a national issue, but this research prompts us to think of what a warming environment might do to not only the New England economy, but even the New Bedford one. Thankfully, the sea scallop industry has remained consistently productive in recent years but there is no guarantee that will remain the case if dramatic changes continue to occur in the ocean. A warming ocean doesn’t affect all species the same way. NOAA Fisheries Service last year categorized species such as cod and yellowtail flounder as less vulnerable to climate change than shellfish since they have more mobility and use a variety of prey and habitat. Others have long wondered, however, about the potential effects of climate change on groundfish, including Brian Rothschild, emeritus professor at SMAST. He has theorized that cod populations may have migrated to colder waters than traditional local fishing grounds. Much of the climate change debate has focused on what changes in ocean temperature will do to the locations where human beings live alongside the shore. But changes to the ocean habitat will also affect the economies of those locales. It is a challenge that seaside communities like New Bedford need to be aware of. The MacKenzie/Tarnowski study is a warning to us. Right now is the time to ramp up our efforts to address climate change. The effects won’t just be felt somewhere else but right here in Greater New Bedford.